You are here: Home / FAQ / Does VoIP Use TCP or UDP? We aren’t surprised at all if an average internet user puts together the letters W, T and F after hearing the above question. Jokes and profanity aside, the abbreviations UDP and TCP don’t ring a bell at all with regular users. However, what hides behind the above abbreviations of protocols is important to get to know your virtual phone system. And despite that they’re seemingly gibberish terms, UDP and TCP are quite easy to understand. 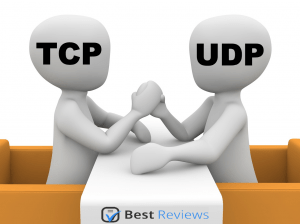 The short version is what the subtitle suggests: TCP is about accuracy while UDP is about speed. And now, the long version of the explanation. TCP (Transmission Control Protocol) is a connection-oriented internet protocol which is established and maintained until message exchanging between programs at each end of the line is finished. When TCP is used, the data is broken into packets which are sent to the receiver’s program in order and uncorrupted. This ensures that the message is delivered accurately, but unfortunately at the cost of speed. And there you have the reason why you don’t get emails immediately after the sender hits the send button. UDP (User Datagram Protocol) is quite the opposite of TCP. Granted, the data is broken into packets and sent to the receiver like it should be, but not in order and sometimes packets arrive corrupted or don’t arrive at all. 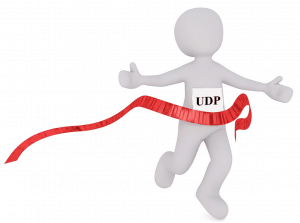 However, programs using UDP keep the stream of information going uninterrupted and without any delay whatsoever. You might be wondering, why it is better for real-time services like VoIP to use the unreliable UDP instead of TCP. The answer lies within reliability itself; as TCP is a reliable, thus lossless protocol, the call/video transmission would be like watching a continuously lagging YouTube video – and if there’s anything users don’t want to experience, it’s lag. UDP, on the other hand, does lose some of the data packets, but these losses have very minor impacts on the overall quality of the audio/video output (a few seconds of silence and/or black/frozen screen at maximum). Therefore, it is logical for VoIP providers to use this type of protocol – especially that most of your other internet traffic goes through TCP.